Nashville TN, under contract in 10 days!! First Time Homebuyer Home Bought! 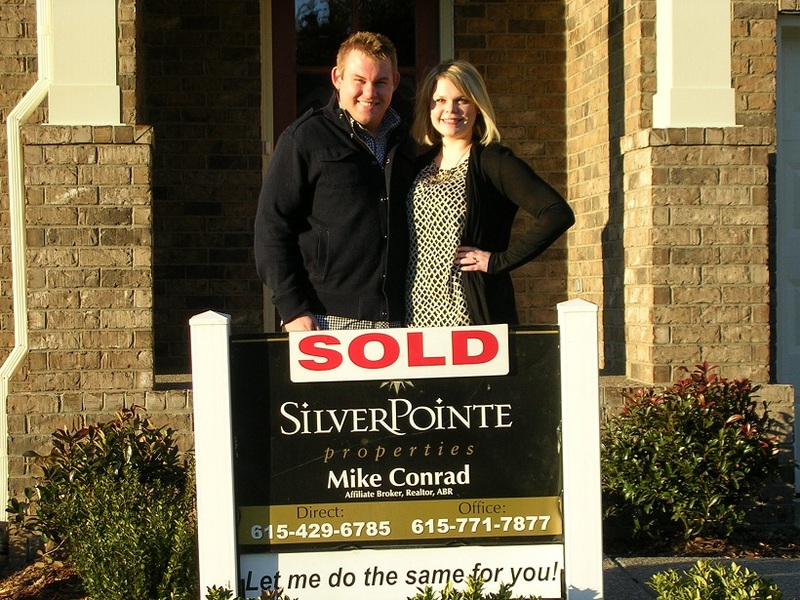 NASHVILLE TN HOME UNDER CONTRACT IN 3 DAYS! 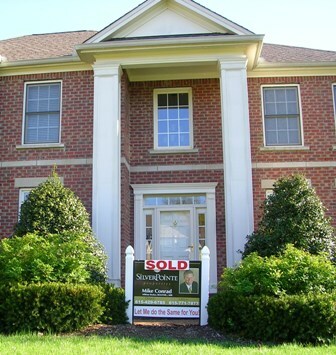 WILLIAMSON COUNTY TN SPRING HILL TN HOME SOLD! 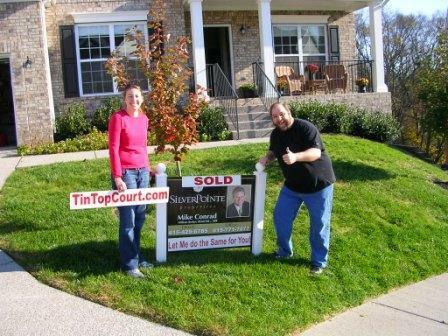 SPRING HILL TN, WILLIAMSON COUNTY TN, HOME SOLD! 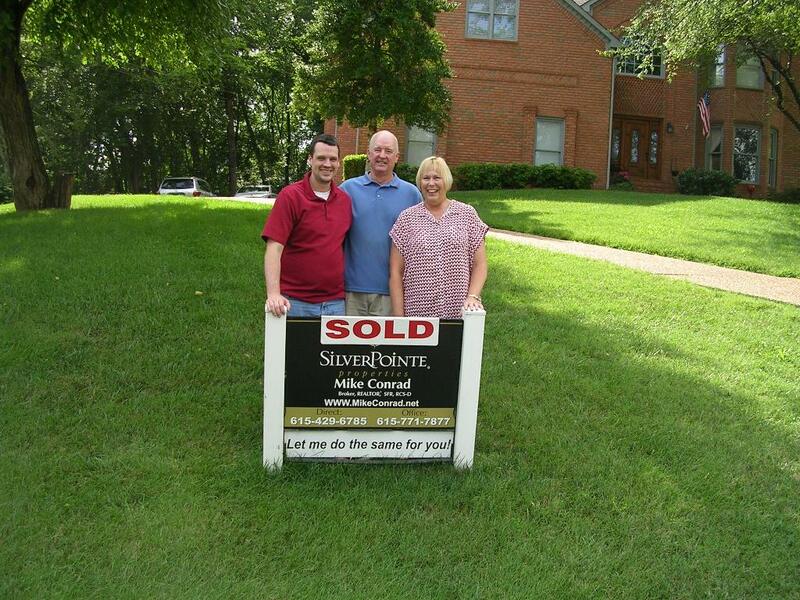 DAVIDSON COUNTY TN BELLEVUE HOME SOLD! 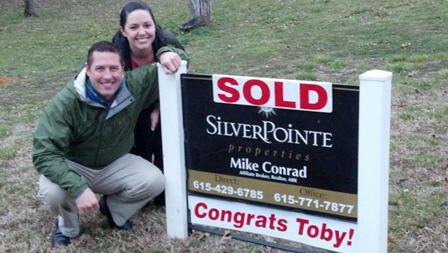 DAVIDSON COUNTY TN HOME SOLD! DAVIDSON COUNTY TN HOME SOLD ! WILLIAMSON COUNTY TN SHORT SALE HOME! 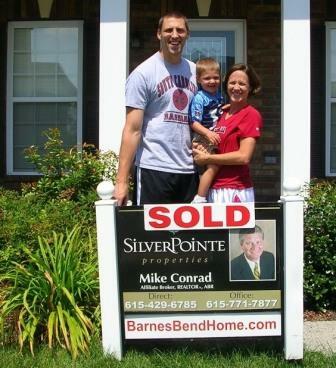 Brentwood TN HOME Under Contract in 48 Hours SOLD! BRENTWOOD TN BEAUTY! HOME SOLD! UNDER CONTRACT IN 72 HOURS! Prime Brentwood TN home! Great Location! HERE ARE SOME SURE "SIGNS" OF A GREAT MARKET!! CALL ME TODAY AND LET'S GET YOUR HOME SOLD OR BOUGHT!! I was told today the cabinets should be ready for delivery on October 2nd. I hope! This has been the best experience so far. We have great neighbors and attended the neighborhood party this past weekend. We met so many people with kids, young and old. They are all so nice. Peter even went and played cards with a group of the guys the night after the party. We owe it all to you. Thank you for doing everything you did to get us this house. Will still says, "That's my new house" every time we pull into the driveway. He loves that he can ride his "BIG Truck" all over the front yard and on the side walks without us having to yell at him to stop and turn around all the time. We really couldn't be happier. 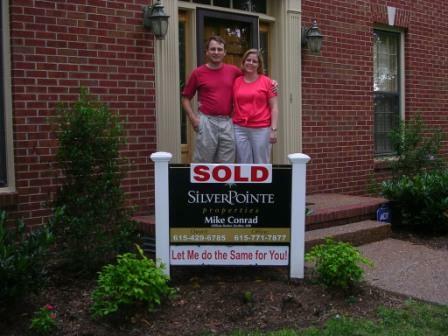 I want to say a major "thank you" for all your help and guidance in the sales process of my home in Franklin. You have always been informed, professional, quick to follow up on requests and questions, and very helpful in the development and presentation of marketing materials and listing information that led to multiple showings and offers. Your professional experience was a key factor in my selection of you as my agent, and I was very fortunate to work with you. Again, thank you for all your service and I would highly recommend you to future, potential clients. Visit my BUYING AND SELLING PAGES! I have some exciting offers for motivated buyers and sellers. If you are looking to buy or sell in Brentwood TN, Franklin TN, Williamson County TN, Nashville TN, Davidson County TN or anywhere in the Middle Tennessee Area please give me a call today! CALLING ALL INVESTORS!! Check out my short sale tab for some great buys! Traditional homebuyers should check it out too. There are some unbelievable BARGAINS there. 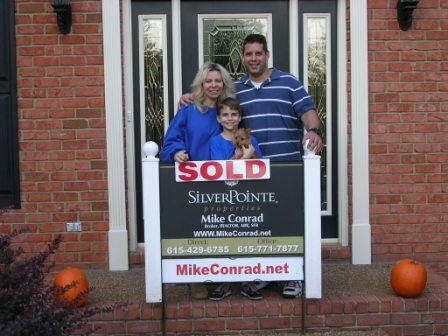 Welcome to the Mike Conrad Realty website. Serving Cool Springs TN, Franklin TN, Brentwood TN, Spring Hill TN, Green Hills TN, Belle Meade TN, Nashville TN and Surrounding Communities in Williamson County TN, Metro Nashville TN and Davidson County TN. 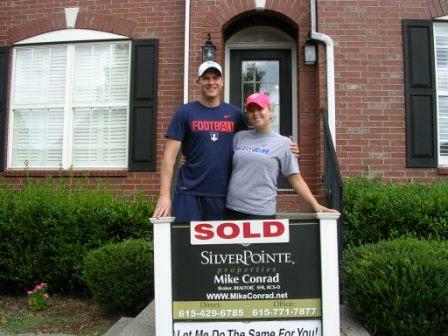 Here you will find a wide variety of useful information and resources designed to help you buy or sell a home more effectively in the Brentwood TN, Franklin TN, Spring Hill TN, Nashville TN areas. From information on the local community, to advice about finding a mortgage or preparing your home to sell, it's all available here on my web site. My goal is to be of valuable service to you. Our company motto is "Business Professionals with a Passion for Real Estate". Whether you want to buy or sell a luxury home, condo, modestly priced home, middle income home, investment property or something unique to you, I can help. I want to earn not only your repeat business, but your referral as well. 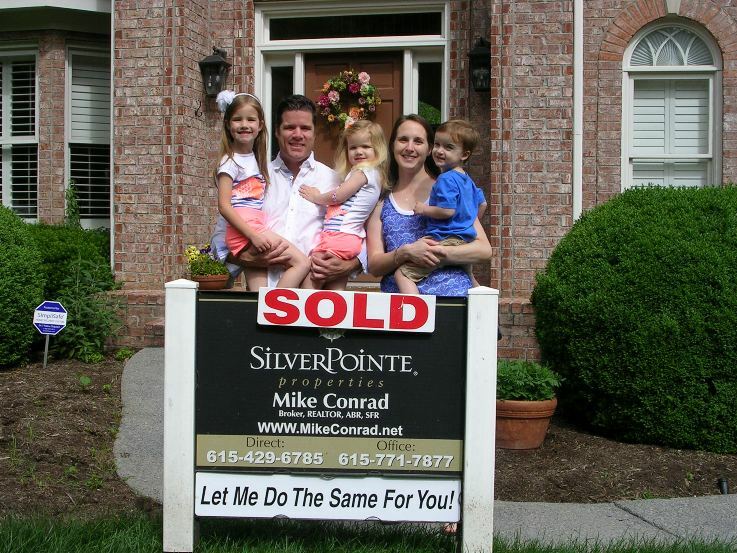 When you hear of a friend, relative, colleague or even casual acquaintance wanting to move to Middle Tennessee including Brentwood, Franklin, Spring Hill, Green Hills, Belle Meade or Nashville you will think of me, your Middle Tennessee, Williamson and Davidson County real estate expert. You can also search for your ideal home by viewing current listings with detailed descriptions and photos. Or you can get help determining the value of your home by requesting a report that includes the prices of similar homes that recently sold or are currently for sale in the Brentwood, Franklin, Spring Hill, Nashville areas. You can also request information for other parts of Williamson, and Davidson counties and most of Middle Tennessee. 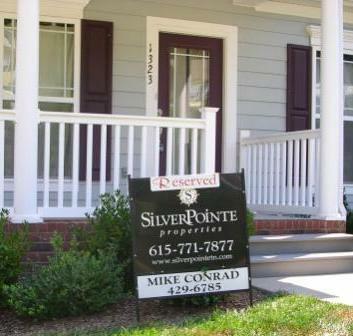 We also represent a number of short sale homes. The short sale property along with pre-foreclosures and foreclosures can present great opportunities for the right buyer or investor. Look under my Listings Tab to see some of these homes. 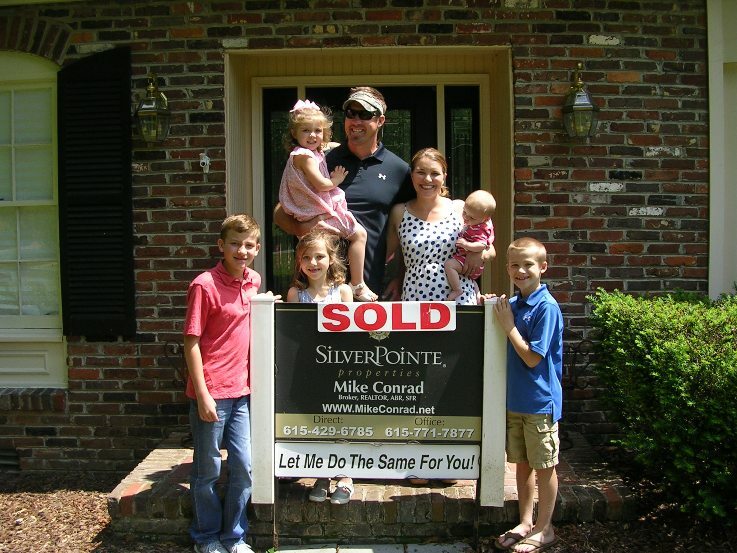 If you think a short sale, pre-foreclosure or foreclosed home might be of interest please contact me at 615.429.6785 or at mike@mikeconrad.net. My website also has numerous helpful links. Links to the left can help you with local government for Williamson, Davidson, Sumner, Rutherford, Maury and Wilson counties. City government links are also available for Brentwood TN, Franklin TN, Spring Hill TN, Nolensville TN and Nashville TN. School information is also available under the School Info link. Click there and do a general search for school scores or ask for a specific learning institution and that school report will be provided. There is a special link to Williamson County Schools. Community reports are available by clicking on the Community Info tab above. Demographic, educational, income and other reports are available for Nashville TN, Franklin TN, Brentwood TN, Nolensville TN, Gallatin TN, Spring Hill TN and other surrounding communities. Relocating to Middle Tennessee? Nashville TN? Brentwood TN? Franklin TN? We are an accredited Relocation Brokerage. I am an Accredited Buyers Representative and have helped a number of corporate clients with both buying and selling homes. I can work with all the major relocation companies such as Sirva, Primacy, Prudential Relocation, Cartus and others. Our major employers in Middle Tennessee include Nissan North America, HCA, Bridgestone, Dell, Verizon Wireless, AT&T, MARS, Healthways, Vanderbilt Hospital, Baptist Hospital and Vanderbilt University. I have provided links to a number of these companies as well. Most of these have offices and major facilities in Brentwood, Franklin, Nashville and the surrounding areas. So whether you're buying or selling in Brentwood TN, Franklin TN, Spring Hill TN, Nashville TN, Davidson county, Williamson county or Middle Tennessee, feel free to contact me and I will be happy to help you with all your real estate needs. The warm fall temps we've been experiencing in Williamson County have finally cooled down closer to the norm. This month, residential single-family homes closings in Williamson County have also cooled slightly to 385 units sold. This represents a 21% decrease from 488 closings in September and 479 closings this time last year. However, median sales prices remain high as inventory stays low. October median residential home sales rose slightly to $463,900 from a September price of $452,520. This represents a 2.5% increase from September and a rise of 6.6% from this time in 2016. Land has also risen in median sales price to $322,400 in October compared to $254,900 last month. However, there were only 16 land closings this month compared to 28 in September. Even though overall closings are down, low inventory remains the catalyst for rising prices. In addition to informing Williamson County residents of housing stats, WCAR has a "#Trending Now" presentation every month on different community topics from transportation to county park planning. Every talk is open to the public and provides valuable knowledge about this growing community. Last month's "#Trending Now" was presented by Edsel Charles, owner of Market Graphics Research Group, which provides new home market research information for builders, developers, banks and city governments. Edsel's presentation addressed the low inventory dilemma. 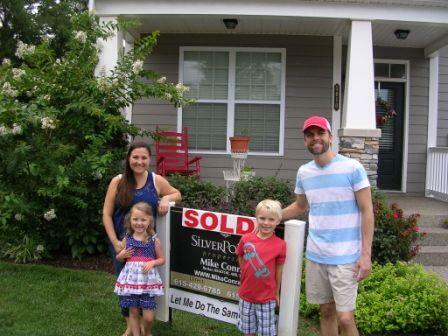 "His presentation stated that inventory could continue to be low until 2020," says Lisa Wurth, president of the Williamson County Association of REALTORS®. Higher prices are also due to Williamson County new home construction impact fees passed by the County Commission in late 2016. As a result, developers pass these fees on to the consumer. "The combination of high demand for homes, low inventory and costs being passed on by developers will keep prices at record highs," adds Wurth. Single-family residential home Inventory for the month of October totaled 1,379, which was a drop from last month's active inventory of 1,418. Inventory, however, is up year over year by 9% from 1,249 in October of 2016, but still not where we need to be with the demand from home buyers. Days on market remain consistent with 35 days for residential single-family homes, 27 for condos and 108 days for land, lots and farms. Though inventory is down, the numbers remain consistent with the market activity usually seen during winter months. With 2,500 members, the Williamson County Association of REALTORS® provides support and services for area real estate professionals and is the leading voice in the community for its members, as well as residential and commercial property owners. REALTOR® is a registered trademark which may be used only by real estate professionals who are members of the National Association of REALTORS® and subscribe to its strict Code of Ethics. Closings - Listed properties that have closed in the month. Average Closed Price - The average price of listed properties that have closed in the month. Median Closed Price - The median price of listed properties that have closed in the month. Days on Market - The average number of days from the first date available for showing to the Binding Contract Date (of an offer to purchase) for listed properties within a month. Total Inventory - The total number of properties that are listed but not closed. Active Inventory - The total number of listed properties that are not under contract. Under Contract Inventory - The total number of listed properties that are under contract and have not closed. New Listings - Properties listed for sale within the month. New Under Contract** - Listings that have a Binding Contract Date within the month with the statuses of Under Contract-Showing, Under Contract-Not Showing and Closed. ** This statistic is now calculated using Binding Contract Date and was previously reported as "New Pendings".